After a moving ceremony in Washington today, the President's body has been flown back to Houston. Tomorrow, a funeral train will carry the President to the Bush Library on the campus of Texas A&M University in College Station. The casket will be borne by funeral train. 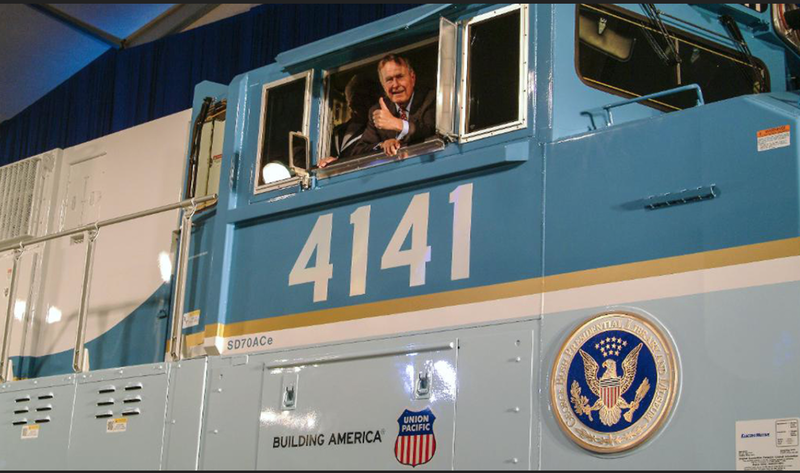 The Union Pacific locomotive #4141 will pull the train. 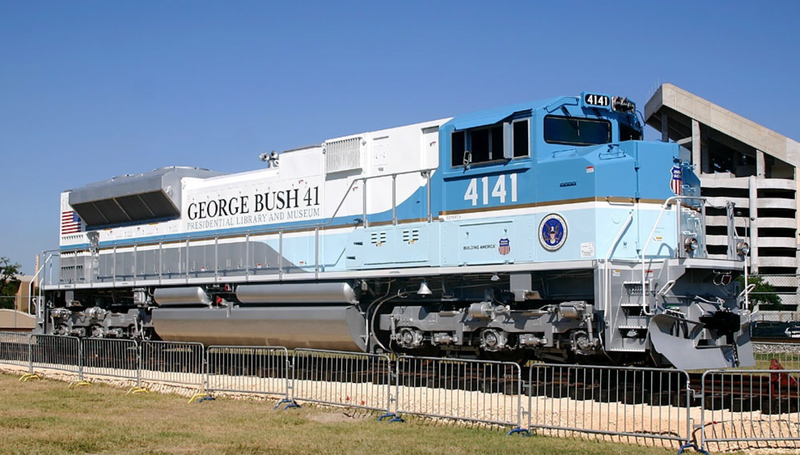 It was painted to honor the 41st President. Photos are below. The Union Pacific (formerly Southern Pacific) tracks run near the Library. At the rear of the train will be Union Pacific's locomotive 1943 which is painted (actually, railroads call paint schemes "livery") to honor the United States' Armed Forces. It will be pushing the train from behind. Below is a photo of what the funeral train may look like only with #1943 in the lead. Addition: #1943 was standing by in case there was a problem with #4141. It is a fitting way to honor the late President. May God rest his soul. Addition: The information I received pertaining to UPRR #1943 was incorrect. We don't delete incorrect information on this blog but we do correct it, thus the strike-outs.